Christopher Burkett (American, b. 1951) has labored for over three decades to create what many regard as the most impeccable and luminous color prints in the history of photography. Devoted to personally hand printing each of his 8x10 and Hasselblad transparencies on the now-discontinued Swiss Cibachrome photographic paper, Burkett has produced some of the most archival, as well as the largest and highest resolution color photographs ever created by a photographer’s own hand, using exclusively film and without modern computer technology. After spending nearly a decade in a contemplative community, Burkett realized that his ultimate vocation was to present the light that he could see in the world around him to others through the medium of photography. The ensuing decades would find him working patiently (often eighty hours a week) in his darkroom, carefully crafting some of the finest color prints the world had ever seen. Brett Weston often observed "the integrity of a photograph depends upon the photographer making his own prints because there are too many decisions in a darkroom that cannot be made by a third party absent from the making of an original negative.” Burkett painstakingly devoted himself to preserving the veracity of his images, striving to show the viewer what he "saw" firsthand in the American wilderness. In one memorable image (Twilight, Virgin River and Zion Canyon, Utah) the photographer was inspired to invest five years of technical effort before considering the resulting image to be an accurate, worthy visual semblance. 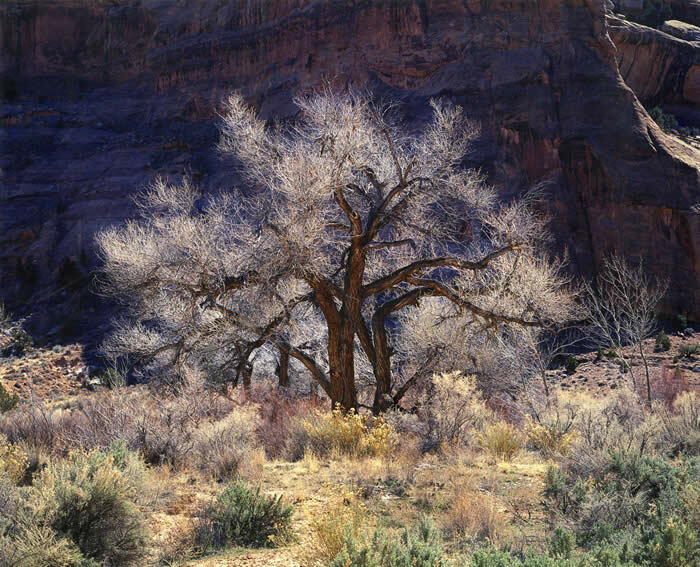 Choosing the unaltered pristine landscape as his primary subject matter was a considered and intentional decision, as was Burkett's eventual resolve to commit his photographic effort to color, rather than black and white. "The world was created in color" is Burkett's succinct explanation, and it is his abiding intent to present the world itself, unveiled in its ultimate reality/radiance, rather than imposing his own personal interpretation. Gifted with a contemplative spirit as well as painter's eye, Burkett has an uncommon ability to capture the natural world in a manner that simultaneously reflects "the world behind the world" as Minor White and Paul Caponigro might have put it. 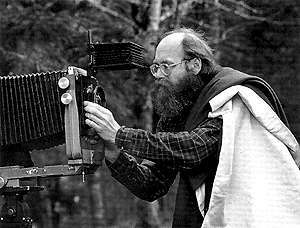 And although Burkett has been compared by curators to American color landscape photographers Eliot Porter and Ernst Haas whose genre of American landscape photography he extended, neither of them exclusively printed their own transparencies/negatives or attempted the darkroom standard clearly in evidence upon viewing a Burkett original print. In his most recent decade, Burkett has turned his attention to a series that he refers to as "the museum prints.” Issued in an edition of fifteen, these Cibachromes are personally hand printed in historically unprecedented dimensions ranging from 40"x40" and 40"x50" to 24"x62". Burkett considers these prints the summit of his darkroom achievement and appreciates their inclusion in collections of museums and public spaces where they can be more closely examined by scholars, curators, and reach an ever widening viewing audience. Museum Collections include: Portland Art Museum, Museum of Fine Arts Boston, Center for Creative Photography and Tucson Museum of Art.